Accommodation in Chicago can be a little expensive, but there are certainly a large number of hotels to choose from. 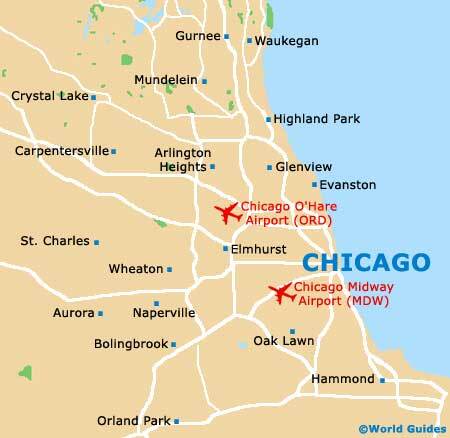 However, it is worth noting that Chicago regularly plays host to some enormous conventions, which often attract literally thousands of visitors and therefore affect both accommodation availability and subsequent lodging rates. Booking ahead is strongly recommended and at certain times of the year, in particular at Christmas and during the summer months, many of the hotels in Chicago are filled to capacity. June is an especially busy month, when highlights include the Blues Festival, the Country Music Festival, the Pride Parade and the Taste of Chicago food extravaganza, many of which are based within Grant Park. Weekend reservations are generally necessary several weeks in advance, particularly if you crave a view of Lake Michigan. Each neighborhood in Chicago attracts a different type of hotel, and many small chain and independent options reside both in the city center and within surrounding suburbs. The nearest reliable camping sites are around an hours' drive away from the city and so only worth considering if you are prepared for a daily commute. Hotels based within the Loop neighborhood are conveniently close to Grant Park, as well as the business district and a number of appealing museums, although are not so well-placed for nightlife. Many tourists prefer to look for accommodation within easy reach of the enticing Gold Coast and Near North areas of the city, or around Lincoln Park.